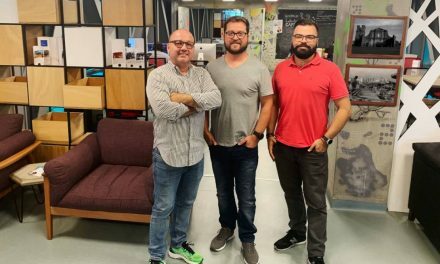 The recently announced recruiting technology roll up by private equity firm K1 with a $200 million investment in Jobvite and immediate acquisitions of Talemetry, Rolepoint, and Canvas should get your attention. It certainly grabs mine. We usually see these sorts of roll-ups happen over an extended period. To see these four deals happening at one time is unusual. Marc Andreessen reportedly defined the term as follows: “Product/market fit means being in a good market with a product that can satisfy that market.” It’s the lens we look at B2B tech through to understand a product’s viability. The same lens helps us get a feel for the feasibility of an acquisition, or it may help us glean where the newly formed entity is headed from a go-to-market perspective. Are they filling a gap in a product line to satisfy customer or market needs? Or, are they trying to move into a new market segment (upstream to large enterprise? downstream to the middle or SMB markets?) Or, into a new industry/vertical market? Because all of these companies are “rolling up” under Jobvite, it makes sense to apply the product, market, fit lens to this deal. It’s clear that recruiting platforms are under pressure to offer both breadth and depth of capabilities across applicant tracking/workflow, CRM, recruitment marketing, and candidate engagement. So, when you look at the components of this deal in product terms, it makes sense. Jobvite: An ATS that was one of the early players in “social recruiting.” The ATS/workflow piece. Talemetry: A recruitment marketing and CRM tech platform that covers all of the ground pre-apply. 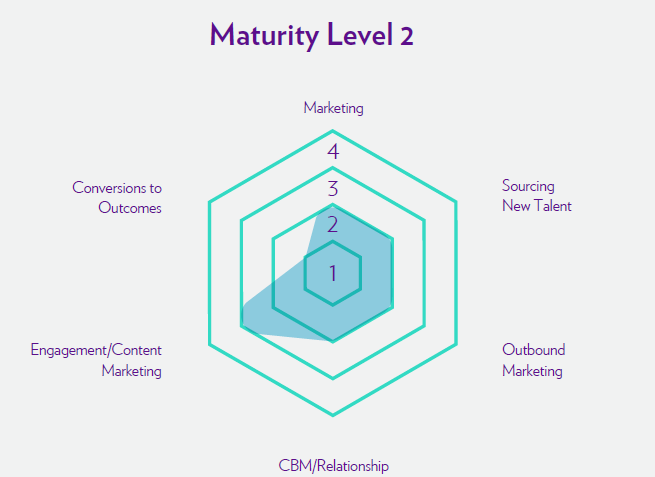 The recruitment marketing and CRM piece. Rolepoint: An employee referral and internal job mobility product. Engagement for both internal and external candidates. Canvas: A candidate communication and text product. More engagement, leveraging bots and AI. The two platform players in this deal, Jobvite and Talemetry, serve different customer segments. Recruiting technology isn’t one size fits all. Don’t underestimate the complexity of applications or tech platforms used across a company in the large enterprise market segment (employers with 5,000 or more employees). Many investors and technologists have made the mistake of thinking that a product delivering in the SMB segment (up to 500 employees) and or middle market (501 to 4,999 employees) can move upmarket quickly. Tech vendors have moved upmarket, it just typically can’t be done as soon as investors would like. It’s more of a deliberate process that has as much to do with the scale of your customer-facing operations as it does with your product or infrastructure. This approach is only for patient investors. Market-focus for this new entity is where I have a lot of questions about this deal. Jobvite: Classically delivers to the SMB and Middle market. 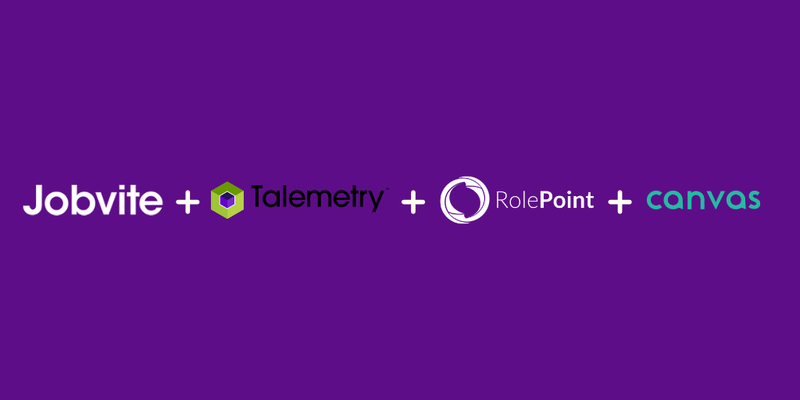 Talemetry: Purpose built for the large enterprise, and deeply integrated into several enterprise HCM/ATS platforms with more in the roadmap. Rolepoint: Because this is less of a “platform” it can be found in both the middle market and enterprise segment. Canvas: Truly an app, it can be integrated into a platform that is serving any market segment. Jobvite has announced no formal strategy, but for this new entity to become a platform it has a gaping hole to fill in between the target markets of Jobvite and Talemetry. 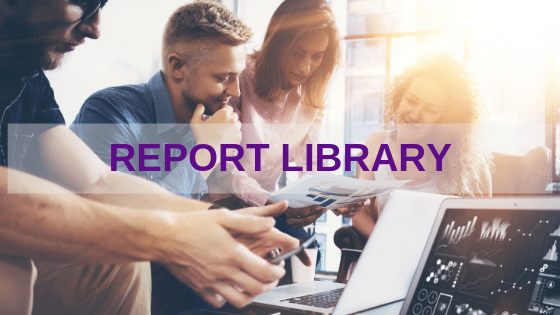 In our update briefing from Talemetry and Jobvite execs, it seemed clear that Talemetry will continue to focus on and support its customers and partners in the large enterprise segment. Appropriate, given Talemetry’s execution in the enterprise segment. Will Jobvite attempt to move upstream? Will there be more acquisitions targeted to fill the gap? These are big questions that remain. Rolepoint and Canvas are more straight forward. They both compliment Jobvite and Talemetry well. The message delivered to analysts this week was that each company would continue to operate independently. A logical approach when a PE firm makes four distinct same category acquisitions into their portfolio, However, this looks more like K1 funding Jobvite CEO Dan Finnigan’s vision. We can’t imagine that vision looks like four vendors partnering and integrating. Otherwise, the announcement would have been about four partnership agreements. When it comes to fit, there’s a lot of work to do here, and it isn’t just the investor’s timeline that matters. 2019 will be a year where recruiting platforms will find themselves needing to offer a breadth of offerings across applicant tracking/workflow, CRM, recruitment marketing, and candidate engagement whether by acquisition or new product release. To be competitive in any market segment in 2020, Jobvite will need to deliver for one or both of the market segments they currently serve with the depth of functionality found across these four vendors and more. Yes, that’s a prediction. More acquisitions of recruitment marketing and CRM solutions will be announced by recruiting or HCM platforms soon. One would think this makes the category ripe for market consolidation. Market consolidation? Don’t hold your breath. Yes, there will be acquisitions. Yes, the platform vendors will fill gaps in recruitment marketing and also acquire their way to enter into new customer relationships. However, there’s a new school of thought that points to the specialization of applications, led by emerging technologies from startups, eating into the bigger slices of the “market-share pie” that the traditional two or three bigger “market-share-leading” vendors would hope to dominate. “The idea that we’ll have a single software vendor or a small number that make everything is…preposterous,” Slack CEO Stewart Butterfield said at the BoxWorks event as reported by BusinessInsider. He went on to say that Slack, a 1,300 employee company, uses about 350 applications to get work done and that this kind of startup fueled specialization will “continue forever” as “software gets into finer and finer niches.” I agree with him, and we see that play out already in HR tech. Take job boards as a thriving, and admittedly surprising, case study. It was common thought with the onslaught of new recruiting technologies in the early 2000s and the emergence of big global brands, that job boards would have died off and relinquished the market to two or three global players years ago. It didn’t happen. What did occur? First specialization, and now emerging models and innovation. While armchair financial analysts predicted that LinkedIn, Indeed, Careerbuilder, and Monster would rule the world (okay Careerbuilder OR Monster), a burgeoning industry of “niche” job boards, focused on job types, geographies, skills, industries, proliferated globally. Today new models of work like freelance, contract, and gig employment continue to emerge. 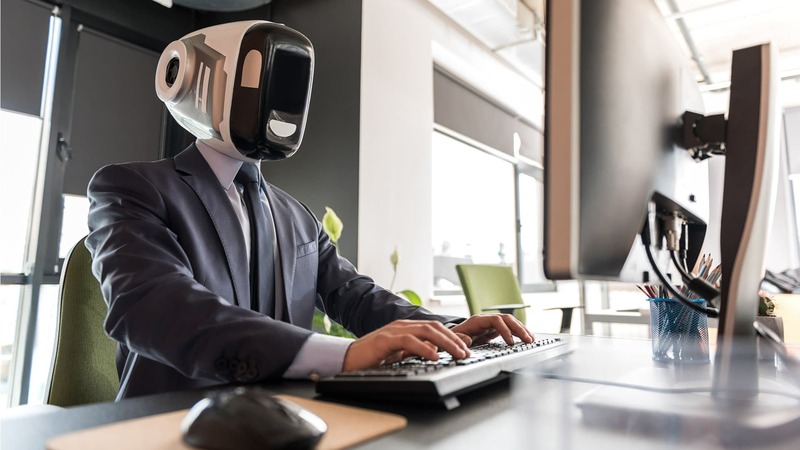 The latest waves of technology like artificial intelligence, machine learning, and automation have appeared in force in the next evolution of job boards, or as we currently refer to them: “career marketplaces.”. One prediction that is all but guaranteed: It’s going to be fun to watch. 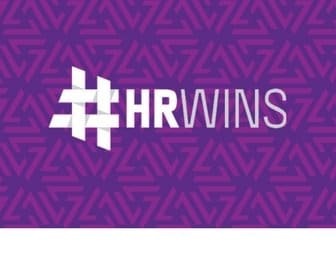 #hrwins Trend Report: Recruiter Of The Future?